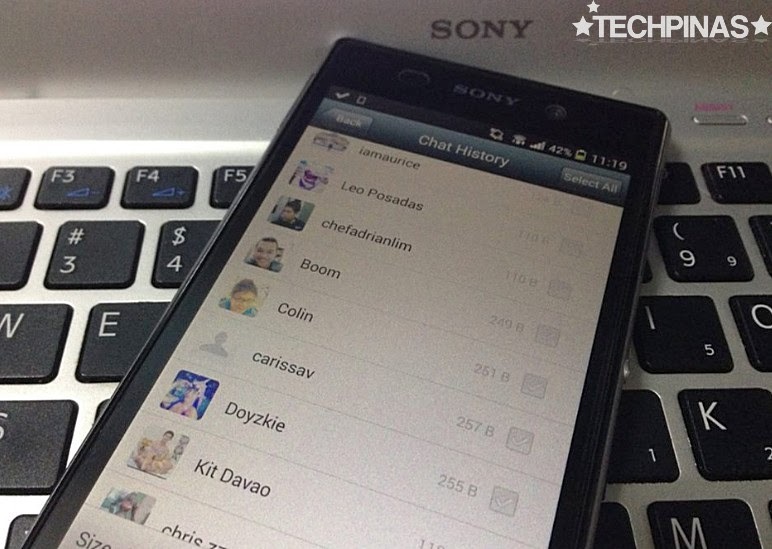 Have you ever wanted to access your chat conversations not just on one device but across your many gadgets? Did you upgrade your phone recently and realized that you're not able to transfer all of your chat conversations from your old handset to the new one? Whether you're the sentimental type who loves saving romantic and lengthy chat messages with your loved ones or you just like using your social messaging apps to save important notes and calendar activities, you will surely appreciate one of WeChat's cool features: Back-up and Restore! Yes, WeChat acts as your digital notepad thanks to its Chat History Backup feature, which saves conversation histories and restores them to any device for up to seven (7) days. The simple 3-step process of WeChat's Chat History Backup starts with selecting "Settings" > "General" > "Chat History Backup" and then clicking "Back Up" for the conversations you'd like to store. Once you have saved your chats, you can protect them by setting a password. It's so easy! 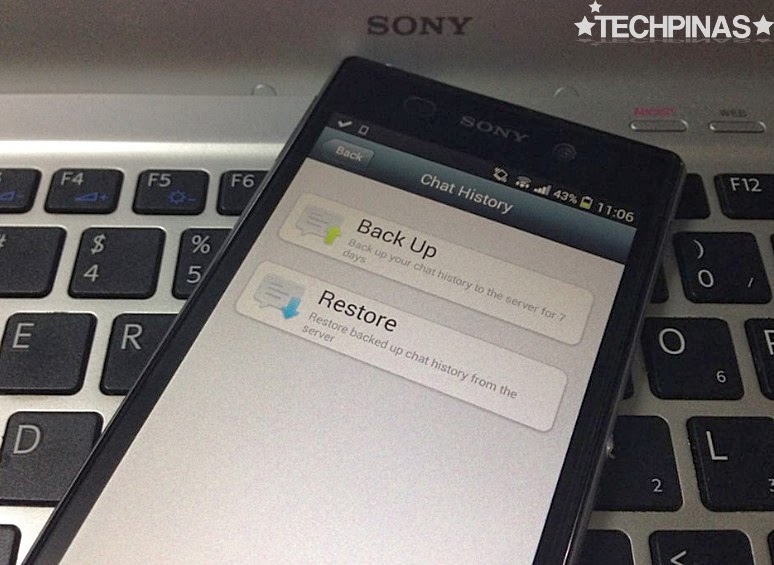 To restore your conversations on any device, simply log on to your WeChat account, and tap "Restore" on the Chat History Backup window. The backed-up history will be restored to your device from the server. Not yet on WeChat? Curious about the app? Well, WeChat is an all-in-one social messaging app that enables users to add friends with several innovative features. These include highly convenient and reliable QR code scanning, phonebook and location-based connection services such as "Hold Together", "People Nearby" and "Shake." The platform facilitates social interaction with real-time "Walkie Talkie," "Voice Call," and "Video Call." Supported on data networks and Wi-Fi, WeChat makes it easy to stay connected with friends anywhere, anytime. Users can choose to communicate and share photos one-on-one, or within their closed social network through "Moments". The popular WeChat Sticker Shop has a variety of fun animated emoticons to express any emotion. Also, with a host of addictive WeChat Games, users can play and challenge their friends on the move, share scores and even find competitors nearby. WeChat is available free for download on Android, BlackBerry, iOS, Symbian and Windows operating systems. I already have it on all of my smartphones! My WeChat account is TechPinas. Add me up, TP Friends! Let's have a chat there.